Category: Baskets. Tags: basket, basket with a lid, bread basket, gift, handcrafted, Moroccan storage basket, Morocco, one of a kind. 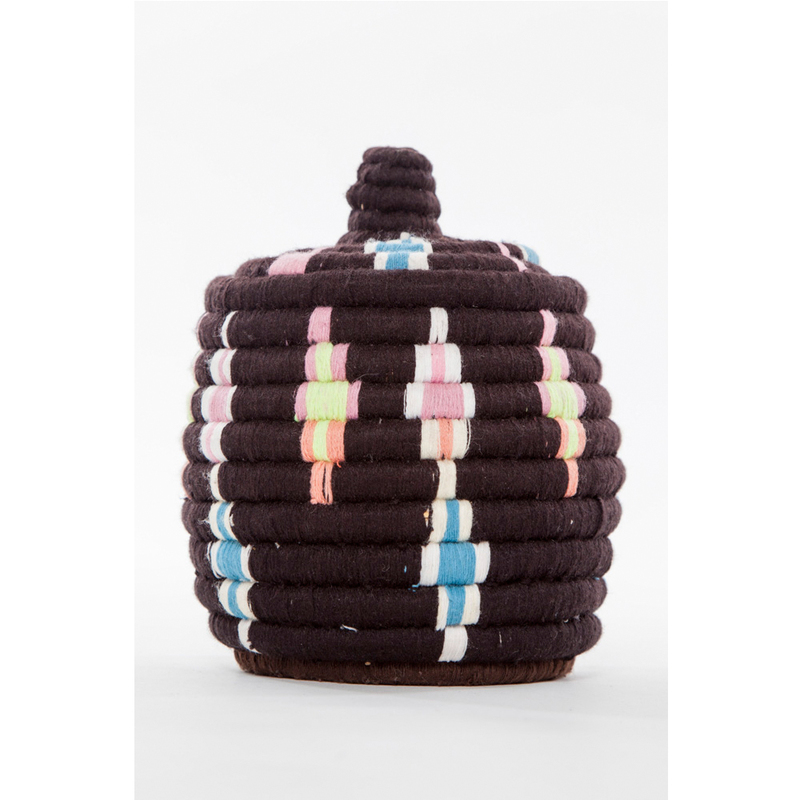 Declutter with this stylish Moroccan storage basket. These storage baskets were traditionally used to store Moroccan flatbreads or Khobz, bread made with white or wholewheat flour with a thick crust, which is served at every meal in Morocco. 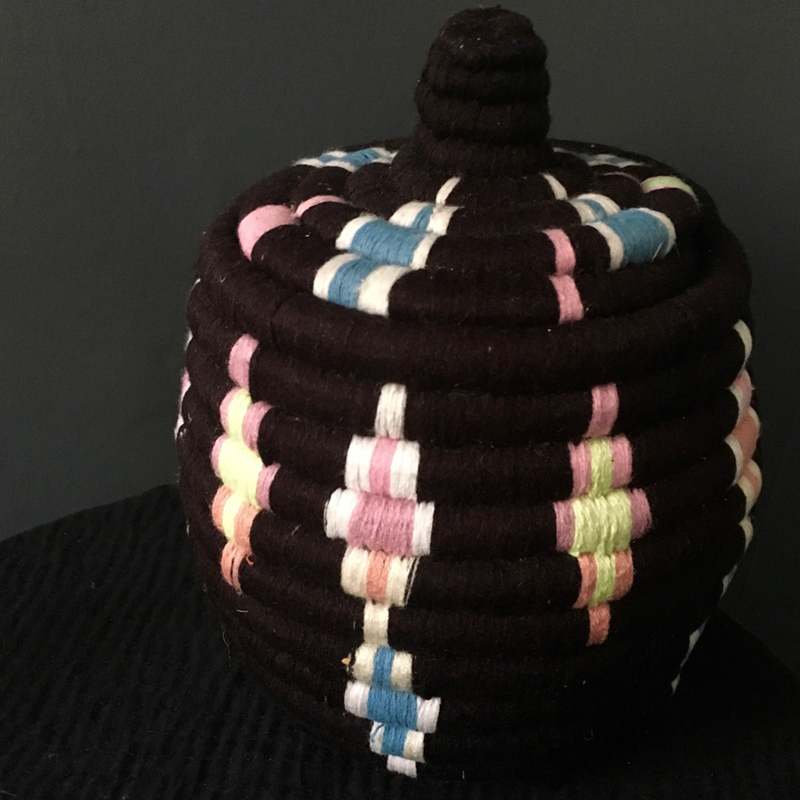 This decorative basket with it’s diamond designs in pastel pink, blue and yellow on a black background will add a global touch to a contemporary home. 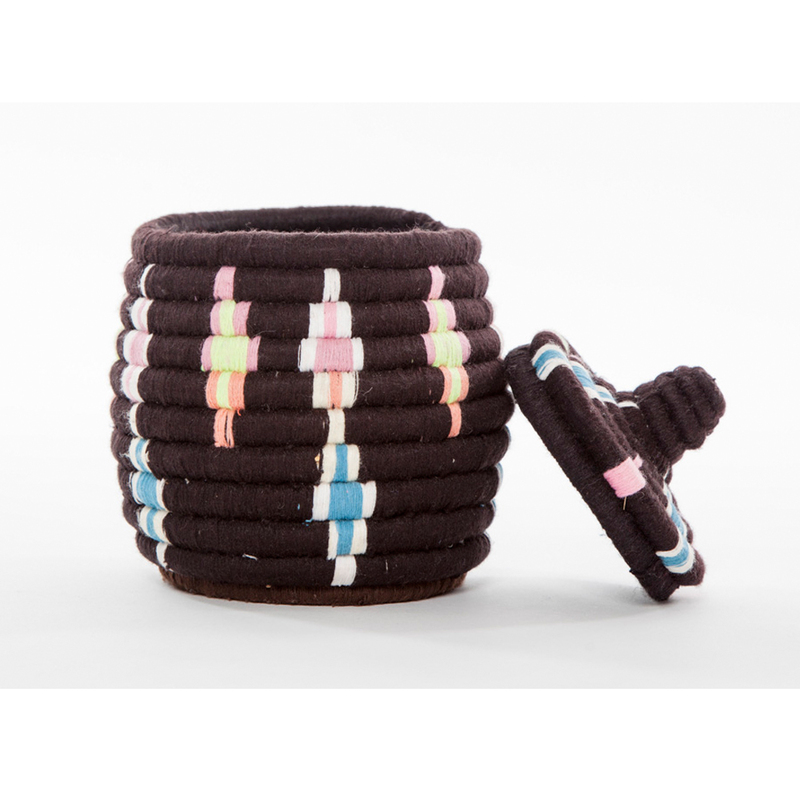 It’s perfect for storing away trinkets in the bedroom, living room or kitchen. Each stylish storage basket in our Berber collection is handcrafted from palm leaf then wrapped with wool in a variety of colours and patterns according to the artisan and no two designs are the same. Scroll over the images to see the design in more detail.